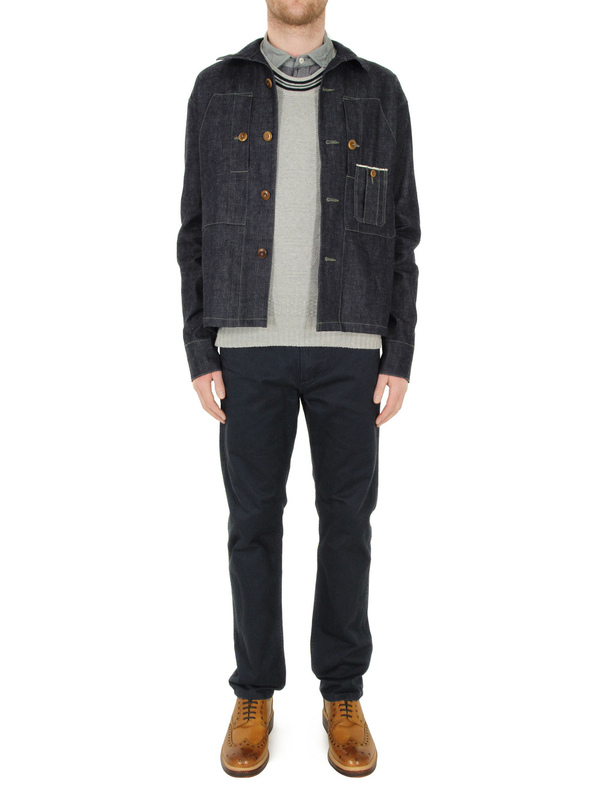 From the Nigel Cabourn Authentic Line, a mens indigo shirt jacket with two large chest pockets, one with an additional selvedge bellows pocket. 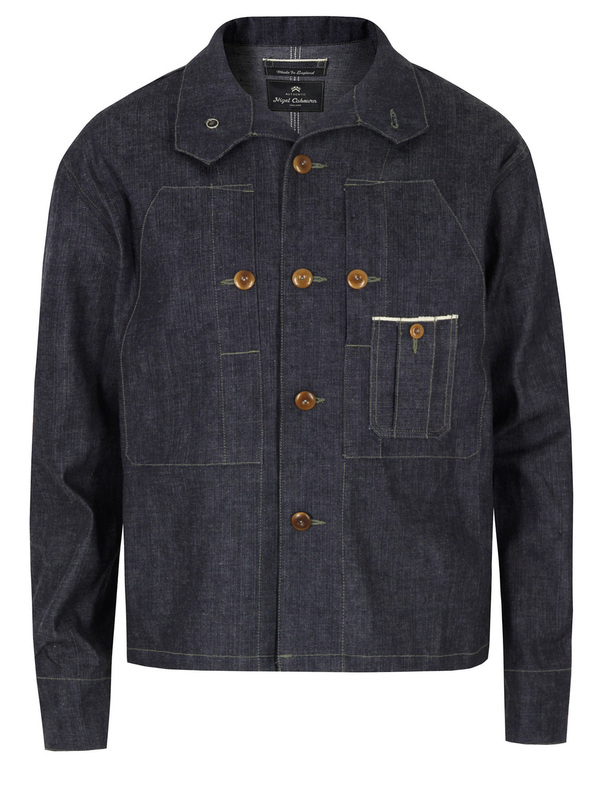 The summer weight jacket is unlined and features a button front, stand collar that can be worn up or down, detachable shank buttons and a single button cuff. The Authentic Line is a unique collection consisting of original clothes inspired by Nigel’s archival pieces from the 1940’s and 1950’s. His personal collection of vintage garments is now made up of over 3000 rare pieces. The garments are made in the UK from British fabrics in the same mills that have been manufacturing materials for the British military for the last 65 years.